GeneralOverseer of the Redeemed Christian Church of God (RCCG), Pastor Enoch Adejare Adeboye shocked a large congregation in Minna, capital of Niger State, yesterday, with a declaration that he does not want to live up to 120 years on earth. 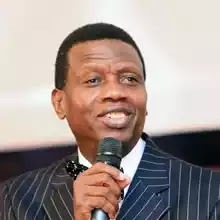 Adeboye also said he did not think he would preside over the 80th birthday service of the celebrant, Pastor Yerima El-Samaila of the Faith Foundation Church who turned 70 and for whom the event was organised. “It is not how long you live but how well you spend your life. “I don’t want to be 120 years old. Longetivity is good but, there is a limit,” the cleric declared when he delivered a message at the birthday service held at the Justice Idris Legbo Kutigi International Conference Centre in Minna. “People don’t want to die because they don’t know where they are going. He challenged Christians to be committed to God more than ever before, and added that many Christians are getting distracted from God. Adeboye said Christians should not forget the most important reason they are here, which is to show God’s glory. Adeboye thanked God for the life of the celebrator, his family and his ministry, and also said they are all committed to the service of God. Pastor Adeboye and his wife, Foluke, later joined Pastor El-Samaila in the cutting of the 70th birthday cake which he (Adeboye) presented to El-Samaila. Niger State governor, represented by his Commissioner for Information, Mr. Jonathan Tsado Vatsa, former Information minister, Prof. Jerry Gana, and clergymen from different denominations attended the ceremony.